I will not segue into a discussion about “placement,” SNFs (skilled nursing facilities), ARUs (acute rehabilitation units), LTACs (Long Term Acute Care hospitals) or any of the other laughably euphemistic and oxymoronic acronyms that all mean “patient is stuck in the hospital with no medical needs.” This is because if I think about placement for more than seven seconds at a time, the hidden aneurysm that threatens to explode inside my brain like a grape in the microwave enlarges a tiny bit. Anyway. Back to the far sunnier subject of taking a dump, shall we? 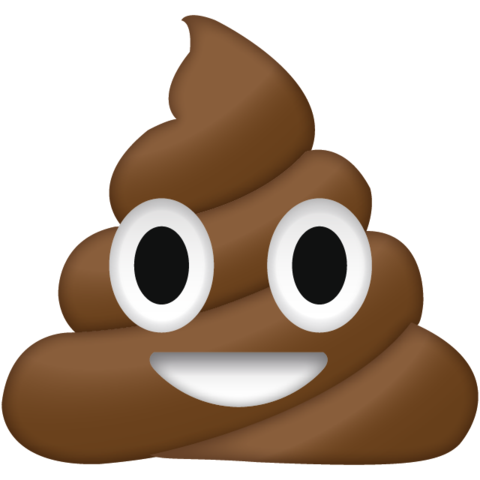 So poop consumes my day for two primary reasons. One of these reasons is what a medical person will tell you if they are being professional: If someone has a surgery on their belly, their intestines essentially become stunned, and they stop moving things through. It takes some time – a few hours to a few days – to get things going again. Until the surgeons can feel secure that someone’s bowels are back in the business of Balancing the Budget, they won’t send you home. That’s the #1 reason. If you are unprofessional and jaded like me, I think there is a second and probably more accurate reason why we care so much about clearing out the inventory. One of the dirty secrets of hospital medicine is that we aren’t very good at all at actually fixing most problems. For instance, if you develop heart failure and come to the hospital feeling short of breath, we can usually make you feel better and improve how your heart is squeezing – but the underlying damage is already done, and there honestly isn’t much to do about that. Similarly, if you have a stroke we can sometimes prevent things from getting worse, but miraculous recoveries with things like clot-busting medicines are much more often the exception than the rule. We aren’t even that good at treating infections anymore, in part because our antibiotics aren’t working that well with the rise of resistant bacteria. BUT. One thing we are absolutely excellent at doing is… yep, making you poop. The Evacuation Armamentarium, you might say, is quite well-stocked. Senna. Colace. Miralax. Psyllium fiber. Magnesium hydroxide. Bisacodyl. Pills. Liquids. Soap suds enemas. Tap water enemas. Fleet enemas. Mineral oil. Suppositories. WE HAVE THEM ALL. I dare say we have more options available to us to make you regular again than we have antibiotics to treat MRSA. I always had, uh, a class to attend when someone was going to need manual disimpaction. The phrase rolls off the tongue, doesn’t it? It sounds vaguely medical and not at all what it actually is. In fact, some poor person/medical student put on gloves, adds copious amounts of KY jelly to their fingers, and… well, I think you get the idea. In case you need an analogy, think of reloading a Civil War musket. Houston, we have… DISCHARGE TO HOME. add prunes to your list!